Entertain the kids this Halloween half term! Looking for ideas for Halloween Half Term? Here is a list of some of our favourite spooky and unusual days out over Halloween Half term in and around Essex. Barleylands Farm Park are running Pumpkinfest during the Halloween Half term week. Halloween themed activities and a free pumpkin for each child. They have two spooky evenings Friday 27th & Saturday 28th October packed with thrills, spills and chills for tots to young teens. 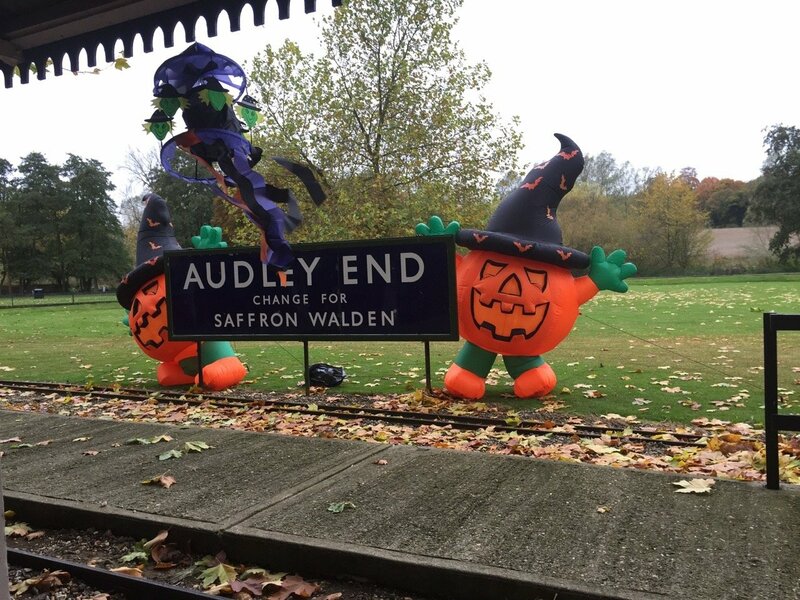 With family friendly activities including Huge Fairground Ghost Train, Haunted Fairground House, Boo Barn, Witches Walk, Haze Maze, Spooky Toddler Story Time, Creepy Reptile Cave, Halloween Disco and spooky games. Book tickets online. Hopefield Halloween at Hopefield Animal Sanctury on 29th October 11:00-16:00. Halloween event with Fancy Dress Competition, Haunted Bus, Halloween arts and crafts and mask making fun, Halloween themed Love On The Rocks and fantastic face painting. Entrance: Adults: £6, Kids: £5, Under 3s are FREE. Cammas Hall Farm at Hatfield Broad Oak you can pick your own pumpkin, enjoy a tractor and trailor ride, get lost in their Maize Maze, face painting or maybe make your own Halloween mask. Don’t forget to stop off for a Halloween treat in their Tea Barn. The Pumpkin Patch at Basildon or Colchester. Free entry and open every weekend during October 10-4pm. Ride the spooky train deep into the woods to visit the witches. Every ticket includes craft making, face painting, story telling, a visit to the dance tent and a gift for every child. Book online. Are running 3 spooky ghost train events during Halloween Half term. Saturday 28th October 2017 (day + evening), Sunday 29th October 2017 (day only), and Tuesday 31st October 2017 (evening only). Don’f forget to visit the Halloween marquee at North Weird, where there is magic shows throughout the day, face painting, a silent disco and, for the grown ups, a bar. Each child receives a gift. Book online. Essex Police Museum in Chelmsford are offering Halloween crafts, make your own scary mask and trick or treat bag. Fancy dress welcome and free entry to the museum. £2 per child. 21st, 25th and 28th October 10:00 – 16:00. 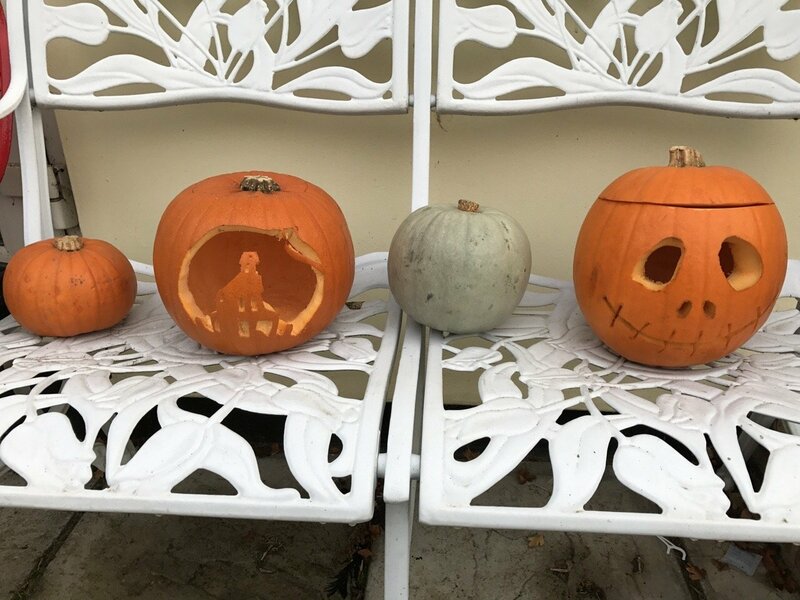 Essex Wildlife Trust have many Halloween Half Term activities across all of their centres, here are some of our favourites. Hanningfield Resevoir have plenty of activities running through the Halloween half term, check their website for further details. Spooktastic Family Trail. Solve the spooky clues and track down the creepy creatures of Hanningfield Nature Reserve? Trail sheets £2.50 per child. Sun, 22/10/2017 – 10:00am – 3:00pm. No need to book. Haunted Hanningfield on Saturday 28th and Sunday 29th October 10-3pm. Follow the spooky trail through the woods to the spooky House, dare you go in? Halloween treat for the brave. Bug hunting, Pumpkin carving and Halloween crafts in the Visitor Centre. Donation £8 per child. No booking necessary. Belfairs Woodland Centre have Horrible Halloween crafts, drop in for some Halloween crafts on Saturday 28th October 10am -2pm. Haunting Halloween at Langdon Nature Reserve. Sat, 28/10/2017 – 6:00pm – 9:00pm aimed at children 6yrs+. Follow the self-guided trail but beware of things that go bump in the night! Finish with stories and marshmallows at the camp fire. Three sessions available starting at 6pm, 6.30 or 7pm (younger children are advised to attend the earlier sessions) Family event aimed at children 6yrs+, must be accompanied by an adult at all times. £7 per person, booking essential. Free Book reading event of ‘The Seven Sisters’ by Sibel Beadle, local author of children’s book series ‘Witchy Travel Tales’. With craft activity and book signing at Barleylands function room on Saturday 21st and Sunday 22nd October and Saturday 28th and 29th October at the following times each day: 11-11:45am, 12-12:45pm and 1-1:45pm. Make your own broomstick at Norsey Wood. Tuesday 24th October. 1pm – 2:30pm. £2.50 per child. Prebooking required. Spooky Fest running Monday 23rd October 2017 until Sunday 29th October 2017, 11am until 3pm. Three halloween themed mazes with live characters. Step back in time and walk around the haunted house, looking out for ghosts, ghouls and all things that fright. Meet the 2017 freaky clowns in the extra large Circus. Hook a duck, have your fortune read and see if you can escape the never ending corridors. Introducing the new vampire village. See the vampires hide out, rotting corpses, and spooky effects. Book tickets online. Children 4+ £5 each includes a sweet treat. Lullingstone Castle just over in Kent is hosting some Halloween magic on the last day of the season. Pumpkin carving, spooky house and garden tours – perfect for all the family. Tom will give garden tours at 1pm and dusk tour at 5pm, learn about the origins of pumpkins, colours and varieties and children can spot the Halloween tricks in eerie torchlight! Fancy dress is welcome. 29th October 12-8pm. Halloween Weirdness and Wondercraft at Hedingham Castle. 10 Halloween themed workshops, creepy creatures, bash the rat or smash the skull, gooey cauldron of ghastly gunk, slithering reptiles, gory face painting, scary stories in the castle dungeon and a spectacular fiery finale! 10% discount when booking online. Monday Mayhem at Orsett Hall. Halloween Children’s Party with AJ Entertainers. 10.00am – 1.00pm and 2.00pm – 5.00pm. Entertainers, Balloon Modelling, Face Painting, Arts & Crafts, Mini Disco. Tickets £8.50, book online. The Magic Frostie Halloween Show on 23 October at 14:00–15:30 at Wickford Community Centre. A Halloween themed show filled with music, Puppets, Balloons, Mind-Blowing Magic. Book online. Some brilliant ideas Emma! Thank you! We will definitely be trying some of those out – especially keen on the book reading!